← How a”peel”ing! Glycolic Acids and The Best Home Peels! Watch Your Tone, Missy! The 4 Best Toners to clean up your act. Naturally, your face wash removes most of the grime that manages to coat your complexion throughout the day, but it’s not always enough to give you the radiant glow you hope to see in the mirror every morning. Over time, tiny amounts of dirt and makeup can build up on the surface of your skin, and prevent its true beauty from shining through. Using a toner after you wash provides a final clean sweep to unclog pores, remove straggling scum, and prep for your favorite products. After you wash, soak a cotton round with the toner of your choice and gently swab your skin. Before you toss the cotton, take a look; you’ll be amazed at how much stuff your cleanser leaves behind! 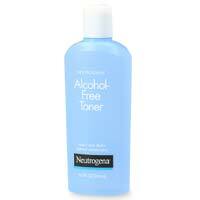 For sensitive skin that’s prone to drying, try an alcohol-free product, like Neutrogena Alcohol-Free Toner ($7.99, Drugstore.com). Not only does it rinse and refresh in the most gentle way possible, but it also comes in a pretty baby blue bottle that’s big enough to last a few months. Alba’s Hibiscus Facial Toner ($12.99, Drugstore.com) is another excellent non-alcoholic option. It’s sweetly scented and completely hypoallergenic. Plus, it’s 100% vegetarian and never tested on animals, making it a planet-friendly find. For the efficiency-loving ladies, you can kill two birds with one stone by using these double-duty toners to tackle twice your skincare needs. 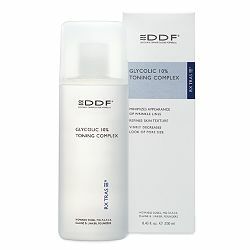 DDF Glycolic Toner ($35, beauty.com) has 10% glycolic acid to wipe away wrinkles and even out your skin tone. H2O Anti-Acne Clarifying Toner ($18, H2Oplus.com) uses salycitic acid, ginger, and marine botanicals to treat blemishes and soothe irritation. With products like these, you get the best of both worlds: the intense micro-cleansing action of a toner, and the mini-peel effect of the alpha hydroxy acids. Yes, it’s another step to add to your beauty routine, but it’s one that is definitely worth the extra 30 seconds it takes to finish the job. There’s no question about it… it’s time to watch your “tone”!